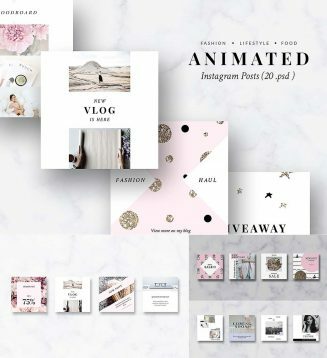 Set of 20 Photoshop templates for Animated Instagram Posts and 20 Photoshop templates for Static Instagram Posts. 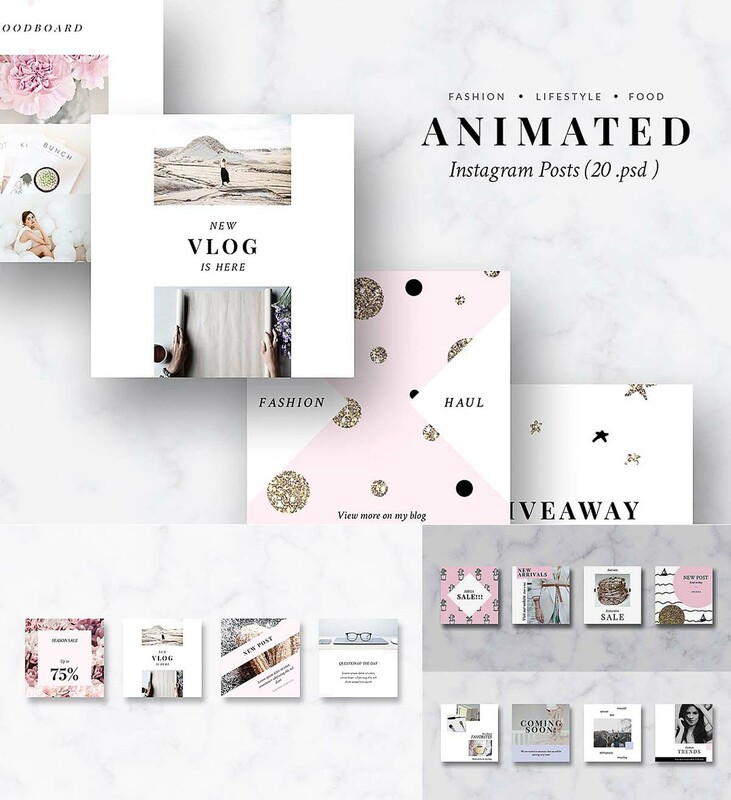 These templates are ideal for fashion, lifestyle and travelling bloggers,photographers, etc. File format: .psd, .mp4 for Photoshop or other software. Tags: animated, blog, gold, instagram template, lifestyle, rose, social media, template.